Dr. Caroline Leaf is a cognitive neuroscientist with a PhD in Communication Pathology specializing in Neuropsychology. She ministers and does conferences in churches worldwide teaching on Brain Science and how this links to the Bible. Since the early 1980‘s Dr. Leaf has studied and researched the Mind-Brain connection. During her years in clinical practice as a Communication Pathologist, she developed tools and processes that help people develop and change their thinking and subsequent behavior. Dr. Leaf is the founder and co-owner in “Switch on Your Brain INTERNATIONAL” (LLC), a Texas registered LLC. She also has a weekly TV show called “Switch On Your Brain” on TBN. 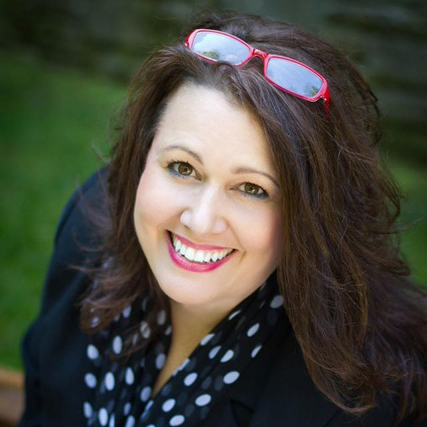 Tammy Whitehurst is described as authentic, passionate, funny and real. 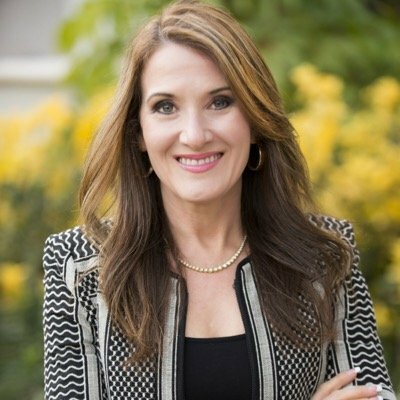 She is the founder of Joy for the Journey Women’s Ministry. After teaching 7th grade for 16 years, God placed a desire in her heart to teach women. Tammy graduated from New Orleans Baptist Theological Seminary. She has been published in Christianity Today, Lifeway’s Home Life, Women’s World, Evangel, Just Between Us, Mature Years, and several other publications. She is co-owner of The Christian Communicator’s Conference held at The Cove in Asheville, North Carolina. Early Bird Deadline is 2/20/2017, after this date a $25 per person late fee will be incurred. What does it mean to be “wonderfully made” when your life seems to be a bunch of loose threads, a tangled mess, or unraveling completely? This session explores Psalm 139:14 and how God weaves the threads and fabric of your life to be the wonderful person you are. The early childhood assessment tools are finally ready for you! Come and get a look at the format and how you can begin to use these tools to assess the development of children in your programs. Two assessment tools will be offered: 3 months – 29 months and 2½ Years –-Kindergarten. A Scope and Sequence for each age group in the assessment is also included. Being prepared for an emergency such as an active shooter is a safety priority. This session will discuss some major incidents, how to prepare for these incidents, and the lessons learned from these incidents. This session will include a Q&A so bring your questions. How do you help your teachers know how to respond quickly and calmly in an emergency? Developing a written emergency plan and reviewing it frequently helps to prepare and reduce the likelihood of poor judgments made under the stress of an actual emergency situation. This session will discuss your plan and look at simple things you can do to make your school safe in an emergency. New Directors – Just for You! Do you have questions or situations you are not sure how to handle? This session will be an opportunity to ask those questions and discuss solutions. Key components of the director position also will be addressed. When we teach a child to think, we teach them how to learn. Dr. Leaf has researched the Science of thought and has proven programs that teach children to think and learn. When children learn to think deeply, they can become innovative and effective life-long learners. This translates into happy students who love learning, are able to think critically, and have purpose. If you need interview skills to help you detect the best, weed out the worst, and stay legal in the process, then this session is for you! Interviews begin from the first email or phone call communication. Do you know what to look for and how to read between the lines? This session will include interview questions, information on what you can and cannot ask, and ideas for enhancing your recruiting process. Is it “weekday program” vs.” church” and “mine” vs. “theirs” in your program? This informative session on bringing your church into your Weekday Program will explore how weekday and church can work together toward the common goal of teaching children biblical truths. Knowledgeable early childhood educators have always known that children need time outside. The word kindergarten even means “child’s garden”. Creating a good out door classroom does not have to be as complicated as you might think. This session will share ideas on simple things than can be done to make your play area a more nature-based experience for children. What do you need to let go of in order to run the race of life with endurance? Do you think you can handle everything, control situations, and even control people? Come learn how you can have joy in the midst of the drama that surrounds us. Joy is not dependent upon the possessions, success, people, or the stuff we accumulate God says that joy is found when we trust that He is in control and working to use the storms of life for His glory. God is good even when life is sometimes bad. Mary Ann is the Executive Director of Texas Baptist Church Weekday Education Association (TBCWE). Before assuming this position, Mary Ann served as an Editor-in-Chief in the Childhood Ministry Publishing department at LifeWay Christian Resources. She also has served on church staff in churches in Texas and Oklahoma where her responsibilities involved the supervision of weekday ministries. Mary Ann earned her M.Ed. from the University of North Texas in Denton, Texas. Mary Ann also serves on the Board of Directors for My Healing Place in Austin, Texas. Cris is a Sergeant with the Granbury Police Department in Granbury, Texas who has served in law enforcement for 15 years. Sgt. Brichetto holds a Bachelor’s Degree in Criminal Justice from Tarleton State University and holds a Master Level TCLEOSE (Texas Commission on Law Enforcement Officers Standards and Education) Certification. His other specialty certifications include Instructor Proficiency, Advanced SWAT, and Advanced Hostage Rescue. Sgt. Brichetto also is a Certified Child Passenger Safety Technician. Luanne is the Director of In His Steps Preschool & Mother’s Day Out Program at Shadycrest Baptist Church in Pearland, TX. Prior to going to Shadycrest, she taught preschool for the city of Pearland and was the Director at Baptist Kindergarten Schools of Pearland. Luanne studied Elementary Education at Louisiana College and the University of Houston at Clear Lake. Dr. Leaf is a cognitive neuroscientist with a PhD in Communication Pathology specializing in Neuropsychology. She ministers and does conferences in churches worldwide teaching on Brain Science and how this links to the Bible. Since the early 1980‘s she has studied and researched the Mind-Brain connection. During her years in clinical practice as a Communication Pathologist, she developed tools and processes that help people develop and change their thinking and subsequent behavior. Caroline is the founder and co-owner in “Switch on Your Brain INTERNATIONAL” (LLC), a Texas registered LLC. She also has a weekly TV show called “Switch On Your Brain” on TBN. Debbie serves as the Children’s Minister at ParkwayHills Baptist Church in Plano, Texas where she oversees birth-fifth grade and supervises the Weekday Education Program. Debbie has also been a fourth grade-reading teacher in the Celina ISD. She received her Bachelor of Science degree in Elementary Education from Hardin Simmons University in Abilene, Texas. Debbie also serves as a member of the Board of Directors for TBCWEA. With more than 30 years experience in early childhood, Jerri brings practical knowledge into all of her trainings. She received a Bachelor of Science in Human Development and Family Studies from the University of Houston and a Masters of Education in Early Childhood Education from the University of Phoenix. Currently, Jerri is the Director at St. George’s Episcopal School in Austin, Texas. Jerri also has been an adjunct instructor with Houston Community College.